House Judiciary Committee Chairman Jerry Nadler (D-NY) on Friday issued a subpoena to Attorney General William Barr for an unredacted version of Special Counsel Robert Mueller’s report. The two children who gave heart-wrenching impact statements about being tortured and abused by their parents in the California house of horrors had an unsung hero by their side. Two of the 13 children of the California house of horrors couple have given emotional victim impact statements in court as their parents were sentenced for torturing them for years. A federal appeals court in the District of Columbia on Friday upheld the House of Representatives’ requirement that it start each day it is in session with a religious prayer. The shocking 911 call made by one of the California house of horrors children that led to 13 siblings being rescued has emerged just one day before the parents are due to be sentenced. John Dean, the former White House counsel for President Nixon, said Thursday that special counsel Robert Mueller's report was "more damning" than the Watergate report. They've been rumored to be dating following her split from actor Evan Peters. And Emma Roberts and Garrett Hedlund certainly looked like they were a couple while out in LA on Wednesday. 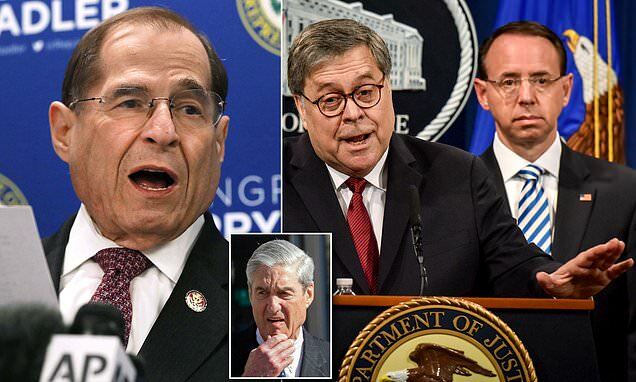 The Democrats are melting down over Attorney General Bill Barr’s handling of the release of the Mueller Report with a scheduled Justice Department press conference at 9:30 AM ET. The Texas House approved a bill Wednesday protecting infants who survive abortion and giving parents the right to sue physicians who violate the law, among other provisions. The White House legal team has reportedly discussed some of the contents of special counsel Robert Mueller’s report with Justice Department officials before its Thursday release. Alexandra Chalupa (on right side) joined Michael Avenatti at a DNC lunch in Chicago. Alexandra Chalupa was a key player in the Democrat’s waste management business (i.e. An armed 18-year-old kicked down a homeowner’s door in Riverdale, Maryland, before being fatally shot by the armed homeowner. The armed teenager, Victory Mbeng, broke into the house at around 5:30 p.
She just filed for divorce from husband of 22-years Kevin Hunter. And Wendy Williams looked like she was enjoying the life of an independent woman while out and about in New York on Wednesday. President Donald Trump will join a White House conference on Opportunity Zones on Wednesday, as the White House plans to host community leaders to discuss the project. A tennis pro used by the Obamas and accused of taking bribes in the college admissions scam has begged federal authorities for financial help after investigators seized $1million of his assets.